While Mike Laine was introduced to woodworking early in life — the house he grew up in had a shop with all sorts of hand tools passed down by his grandfather — the thought that he would pursue the craft as a profession did not enter his mind. 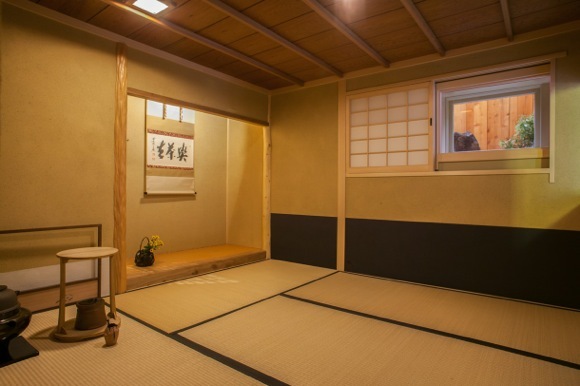 Five years after graduating from Cal, he met Makoto Imai, a master carpenter from Japan, along with Len Bracket, who owned a company called East West that focused on Japanese architecture. 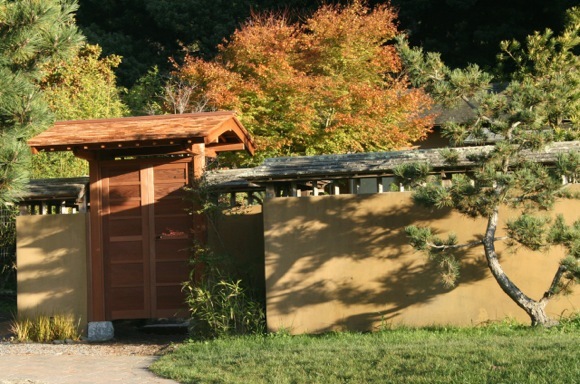 Working out of the studio at his Menlo Park home, today Mike focuses on designing and building Japanese tea houses and tea rooms along with entryways, gates, and structures that define transition space. In his studio, Mike showed us the tools of his craft, which he uses to smooth and shape wood. You can view a gallery of Mike’s work online. The photos that accompany this post include a tea room built at a Peninsula home and the gate to the garden of the tea house at Green Gulch.